Epigenetic Marks From Parents Could Influence Embryo Development and Future Health | What is Epigenetics? DNA is the blueprint from which most living organisms are built. It makes up the genes that carry the distinctive characteristics and information that determine physical appearance and health, and it makes everybody unique. At the beginning of life, human embryos inherit genes from both their mother and father, and although the actual genes cannot be altered, the way they are expressed can be influenced by epigenetics. Parents can have a huge epigenetic influence on the development of an embryo even before conception. We know a mother has an impact on a child’s epigenetic marks in a number of ways, but a mom’s diet can also play a crucial role in the uterine environment where the embryo develops, and could leave the child susceptible to developing obesity later in life. A father’s diet can also have an influence on a child’s future mental health, and may even cause birth defects. A recent study published in Science Advances takes an in-depth look at these epigenetic marks and their effects on embryo development. Scientists from the London School of Hygiene & Tropical Medicine have recently examined how epigenetic marks left on DNA during embryo development can affect the future health of the individual. The study highlights the motif that epigenetic modifications occur in humans as early as the first week after conception. This period in development is when the rate of DNA synthesis is extremely high, which leaves the embryo vulnerable to epigenetic adjustments. The researchers examined areas on the genome called metastable epialleles (MEs) which are regions that experience epigenetic modifications during the first few days after conception. The team analyzed the DNA methylation patterns throughout the stages of early development, including the egg and sperm, of Chinese human embryos conceived through in-vitro fertilization. Specifically, they looked at the patterns in which the DNA marks were being established and eliminated during the first week of life, and compared the findings to fully-differentiated liver cells of 6-10 weeks. They discovered that the methylation patterns of MEs are much more fickle and variable compared to other sections along the genome, especially in embryonic liver cells, and other differentiated cells, implying that MEs are more sensitive to the influence of environmental factors. Previous studies have linked the methylation at specific MEs to the development of obesity and cancers. The team supplemented their findings with another natural experiment they conducted on dietary conditions of men and women during rainy and dry seasons in Gambia, a nation in Africa. They discovered that methylation patterns of MEs can be affected by the preconceptional nutrition of the mother and possibly the father during these periods, confirming the volatility of the methylation in these genomic regions. The lead researcher, Dr. Matt Silver, suggests that MEs in embryos have evolved to become aware of the mother’s nutritional environment and adjust themselves accordingly to survive, which could implicate health problems and disease down the line. 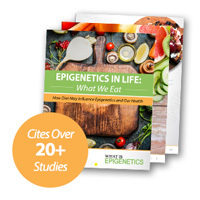 “Previously our work has indicated that epigenetic marks in these regions are associated with differences in maternal nutrition around the time of conception, and several MEs have been linked to important health outcomes in later life, although further work is needed to confirm this,” Silver stated. The identification of this process is a crucial step in recognizing how important a healthy maternal environment is in the early stages of development. These findings reinforce the fact that epigenetic modifications stemming from diet and environment can be passed down to future generations and can put the offspring’s health in jeopardy. Professor Andrew Prentice, co-author of this study, hopes that the data they gathered will help demonstrate the importance of a mother and father keeping a healthy diet. “The fact that certain epigenetic marks are sensitive to nutrient inputs at the time of conception focuses attention on how crucial it is — for both parents — to eat a healthy and balanced diet before starting a pregnancy,” he said. The good news is that this new information, paired with further research on the volatility of the methylation of MEs, can help identify the areas for scientists to develop potential epigenetic treatments to prevent the embryo from experiencing these damaging modifications. The authors also suggest more detailed research to be done on the exact components of a diet that influence DNA methylation patterns in the embryo directly, and the adverse effects they may have on an individual’s future health. Source: Silver, M. A. et al. (2018). Establishment of environmentally sensitive DNA methylation states in the very early human embryo. Science Advances, 4 (7). Reference: London School of Hygiene & Tropical Medicine. “DNA marks in adults tracked back to changes in earliest days of life.” LSHTM, 11 July 2018. Web.